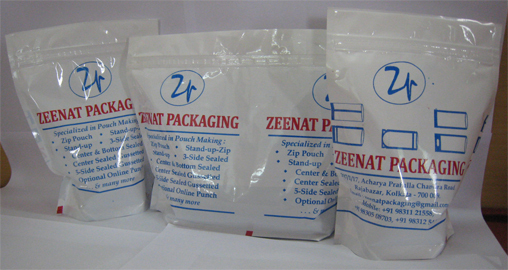 Our company, Zeenat Packaging makes quality Three Side Seal Pouches in different sizes. 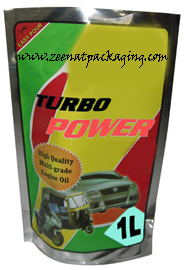 Tight Seal from the Three Sides ensures leak proof safe packaging. 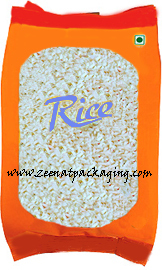 It is used for packaging of products vary from food to industrial grade products, pillow, cushions and lubricants. 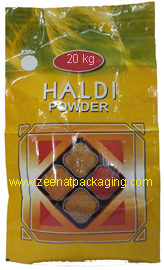 These Three Side Seal Pouches are manufactured in various sizes from 25 gm pack capacity to 20 kg pack capacity. 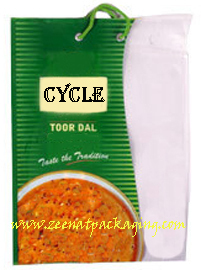 Three Side Seal Pouch With Dori & Eyelet – Quality Eyelet with properly selected dori enhances the look of the pouch and It is also convenient for the consumer to carry. 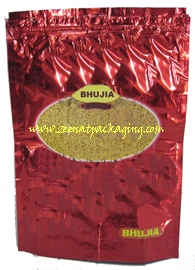 Three Side Seal Pouch With Notch are used mainly to easy tear. “V” notch with proper positioning achieved by our specially designed tool. 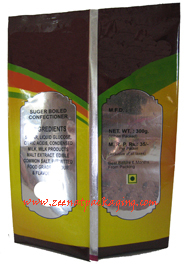 Three Side Seal Pouch with D Punch, Capsule Punch, fabricated as per the requirements, useful for display the products up to 500 gm pack size by hanging in the shop and above 500 g pack size for convenient for carrying by the consumer. 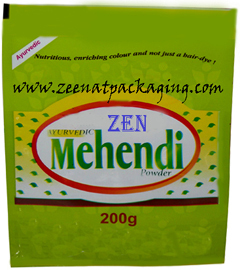 Tight seal from three sides ensures safe packaging. With best quality, our Three Side Seal Pouches have helped us in setting benchmarks for excellence in the packaging industry.